What are the challenges of decentralisation in the MENA region? This was a core question during the four-day intensive training in Hammamet, Tunisia. Incorporating the framework of the Shiraka programme – a Dutch bilateral effort organised by the Ministry of Foreign Affairs of the Netherlands – the tailor-made training from the Academy focused on the role that local authorities can and should play in decentralisation and promote sustainable development. 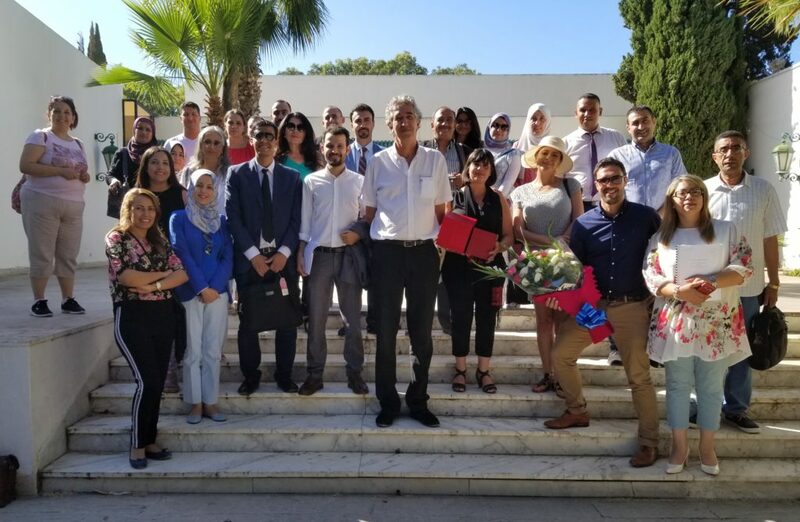 Twenty local government officials representing Algeria, Egypt, Jordan, Lebanon, Morocco, and Tunisia participated in the training. Looking ahead, a possible alumni event may gather to keep the network strong and share progress from their respective back home action plans. In addition to open courses, the Academy organises on-demand training programmes that combine several methods and topical expertise. These Tailor-made Trainings (TMTs) and their related knowledge-sharing activities are offered in, but not limited to, English, French and Arabic, and can be convened in the Netherlands or in your country. Each year, The Hague Academy offers open courses for professionals from all over the world. These short courses offered in The Hague provide opportunities to exchange ideas and experiences, gain knowledge on different international concepts, apply practical tools, and broaden individual perspectives to strengthen local governance.